Although interior designers and interior decorators do many of the same things, there is a vast difference in the amount of training each title holds, in addition to the scope of services each professional is qualified to provide. Knowing the difference can help you make the best choice when seeking professional help. 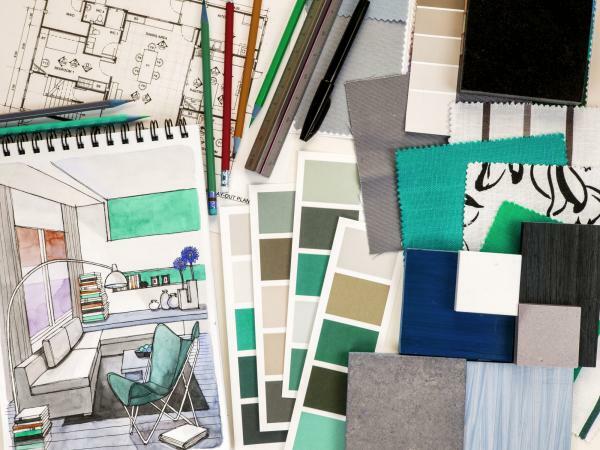 Interior design is a highly specialized career field that requires a combination of formal education, work experience and licensing or certification. 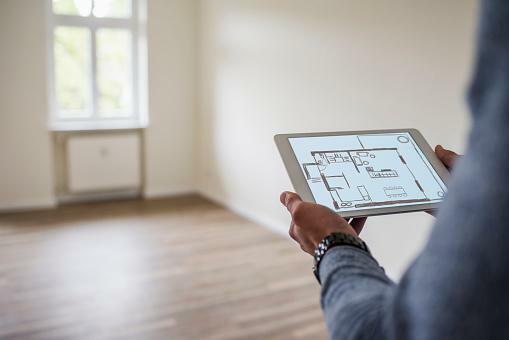 Designers do decorate but they are capable of much more, such as reading blueprints and finalizing design plans that adhere to local building codes and safety regulations. Associate degrees are also available, as are master's degrees for those studying interior design as a second career. Online programs provide flexible study schedules for working students and some are accredited by the following industry organization. Many states require licensing or certification to do business as an interior designer. In North America, NCIDQ certification is a critical step in becoming licensed or recognized as a qualified professional. Designers must pass the NCIDQ Exam, which is administered by the Council for Interior Design Qualification (CIDQ). To qualify for the three-part exam, applicants must have a degree in interior design (or be in the final year of a bachelor or master's degree), in addition to thousands of hours of work experience - typically accomplished through internships with licensed designers. 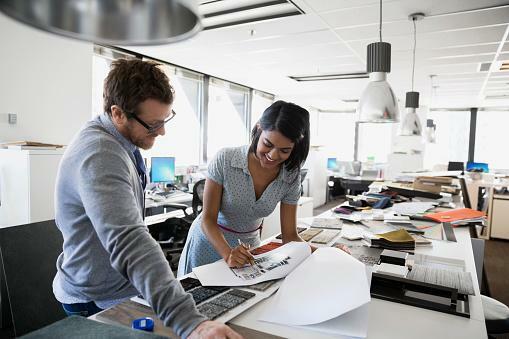 An interior designer can start or work on a project from the ground up, using computer aided design (CAD) software and building information modeling (BIM) software for construction projects, much like an architect. They begin by consulting with potential clients on residential projects or they search for and bid on commercial projects. Designers create timelines for projects and estimate costs for materials and labor. They work closely with construction contractors, laborers, architects, painters, plumbers and electricians on both new construction and renovation projects of residential and commercial properties to ensure living and working spaces are safe, functional and attractive. Residential designers often specialize in distinctive architectural home styles or areas such as kitchens and bathrooms. Designers can also follow through with furnishing and decorating interior spaces, down to the last accent pillow and table lamp. For straightforward decorating projects that don't involve new construction or complex remodeling, many designers offer affordable, online e-decorating services. Interior decorators can be self-taught or might specialize in areas such as window treatments, furniture, flooring or home staging if they have prior work experience in those industries. Professional interior decorators may also hold a diploma or certificate in interior decorating once they have completed courses taken from a trade school or college. Many programs are offered online and can be completed in six months to a year. Although it's not required for the job title, interior decorators can get certified to boost their career opportunities by becoming a member of Certified Interior Decorators International, the only national organization that recognizes qualified decorators through industry standard testing. Interior decorators don't design rooms or the interior architecture of buildings or work with blueprint construction plans. They don't have the licensing or qualification to add on a room or oversee any structural modifications to a home. A decorator can devise a new color scheme for the walls, furnishings, and accessories in one or many rooms and improve a room's look and function with a trained, expert eye for furniture placement. She can identify and recommend different furniture styles and present her decorating ideas with professionally sketched floor plans, mood boards or 3D renderings created with design software. She can coordinate and oversee the installation of professional window treatments and decorative coverings for floors and walls. An experienced decorator can also dial in fine details such as using the correct type and color of lightbulb in fixtures used for task, accent or ambient lighting. The best person to hire for an interior design project depends largely on what the project involves. If you're building a new home, adding on a room or doing extensive remodeling, you'll need the expertise and knowledge of an interior designer, whose primary focus is on designing safe, functional and aesthetically pleasing living environments. You'll also have the advantage of working with the same person or design firm through the entire project. If you're planning a complete makeover of a living room or bedroom or even an entire floor in your home, you might be able to save money by hiring an interior decorator. A decorator can't move walls but he takes a bare-bones or outdated room and completely transform it with new colors and textures on walls, floors, furniture and light fixtures. Expert help on determining and working with a defined budget. Access to higher quality furnishings, fabrics and upholstery not available to the general public. Designers and decorators get bulk buying discounts, to the trade and wholesale costs on furniture and accessories, saving clients both time and money. Expert attention to details and long established relationships with service providers such as painters, electricians and plumbers can help you avoid costly mistakes. The first consultation with an interior designer or interior decorator is usually free so try one of each if you're simply updating, decorating, redecorating or staging your home. Go with the professional you find easiest to work with, offers the most value for the price or whose ideas impress you the most.